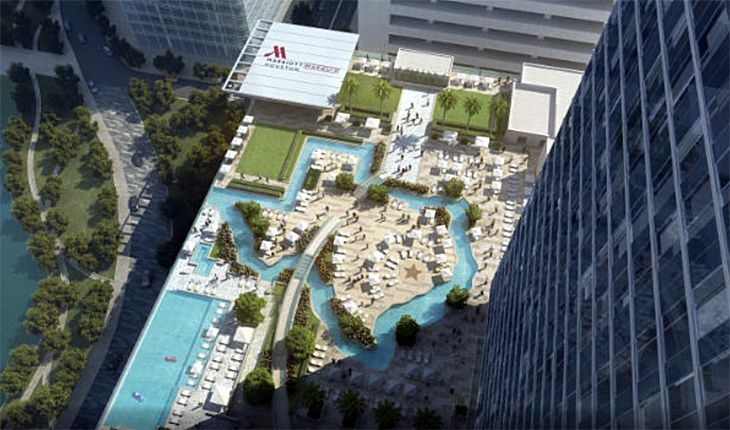 Marriott has cut the ribbon on a 1,000-room convention hotel in downtown Houston. The new Marriott Marquis Houston at 1777 Walker Street is connected by a skybridge to the city’s George R. Brown Convention Center. The big new hotel boasts 100,000 square feet of meeting space along with a multi-level sports bar called Biggio’s, a tapas-and-wine bar, a coffee shop, an American restaurant and a Mexican restaurant. There’s also a full-service spa and fitness center, rooftop infinity pool, and an outdoor terrace with cabanas, views of Discovery Green Park below and a “river” in the shape of Texas that flows around the terrace. 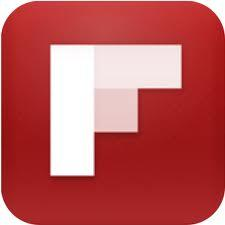 Marriott Rewards member rates start at $293. 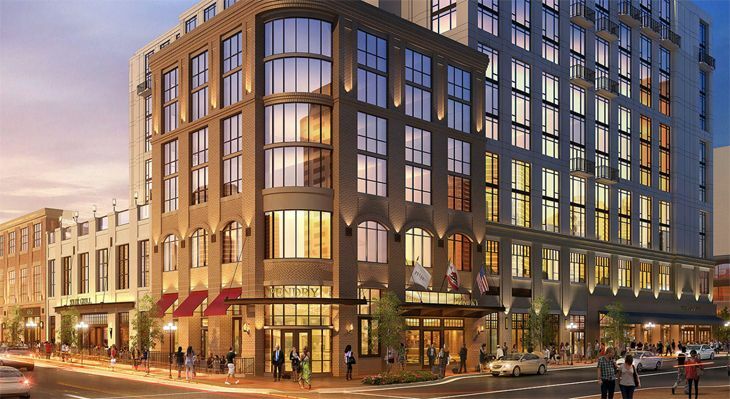 Montage Hotels & Resorts has a new sister brand called Pendry Hotels, and its first property is slated to open this month in San Diego, at 550 J Street (between 5th and 6th) in the city’s Gaslamp Quarter. Three blocks from the city’s convention center, the new Pendry San Diego has 317 rooms (including 36 suites), a rooftop pool, 24-hour fitness center, a spa, six restaurants and bars, and 35,000 square feet of meeting space. Standard guest rooms start at 350 square feet and feature Bluetooth speakers, minibars, luxury bedding and 24-hour room service. Rates start at $360. 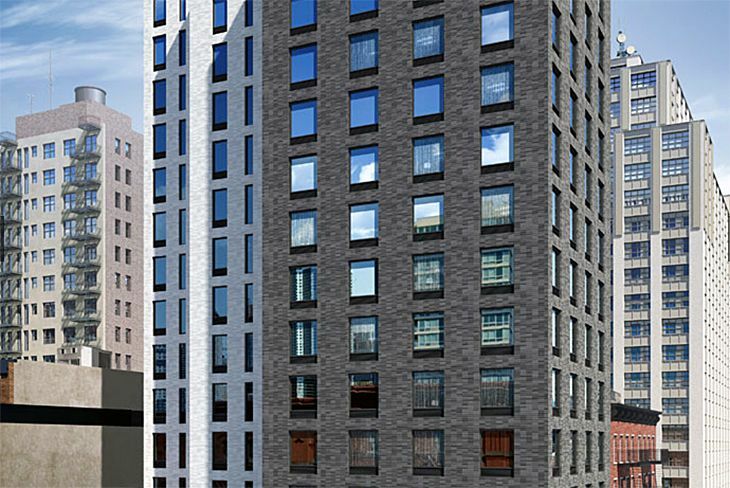 In New York City, Starwood has set a January 25 opening date for the new Four Points by Sheraton Manhattan Midtown West. Located at 10th Avenue and West 35th Street, the 148-room hotel is just a long block from the Javits Center, near the Hudson Yards development. The Four Points offers free high-speed Wi-Fi, a 24-hour business center, 24-hour fitness center, free Internet-based printing service in public areas, and a casual restaurant/bar called the Hudson Bar Room with American cuisine. Starwood Preferred Guest member prepaid rates start at $137. 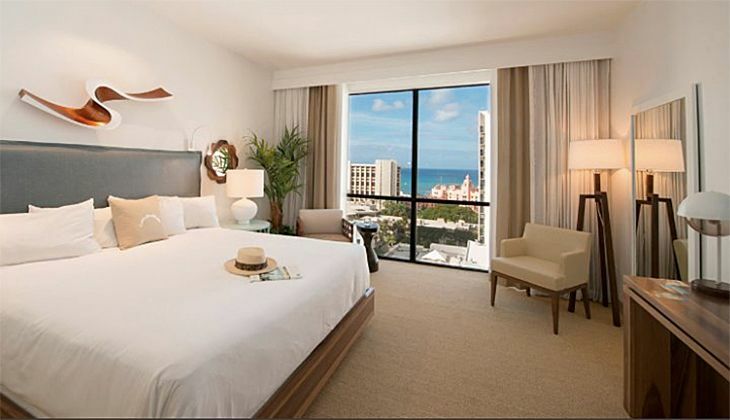 What was once the Waikiki Trade Center in Honolulu at 2255 Kuhio Avenue has been converted into the newly opened 230-room Hyatt Centric Waikiki Beach. (In fact, Waikiki Beach is a short walk away from the hotel, across Kalakaua Avenue and past the big beachfront hotels.) 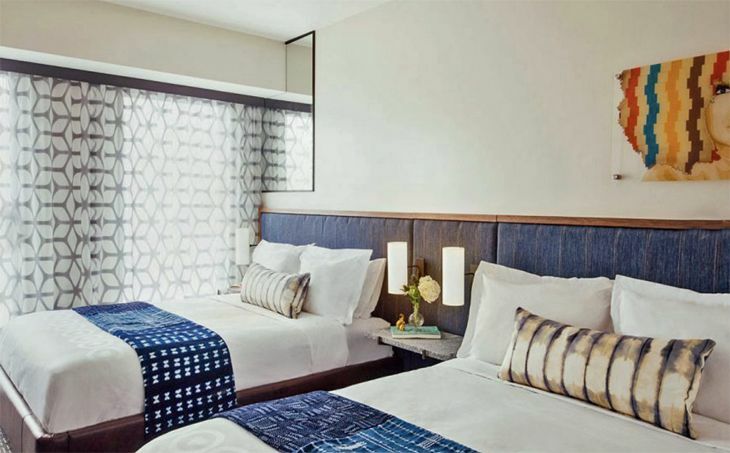 The new Hyatt Centric’s guest rooms have floor-to-ceiling windows and free Wi-Fi, and the property offers a pool with private cabanas, a fitness center, business center, lobby restaurant and bar, a tapas eatery, and a Starbuck’s. Gold Passport member rates start at $225. The boutique hotel group Joie de Vivre has opened its first property in the South – The Troubador, in New Orleans’ central business district. The 184-room hotel is a redevelopment of an office building at 1111 Gravier Street that is on the National Register of Historic Places. Food and beverage outlets include Petit Lion, a casual restaurant open for breakfast, lunch and dinner; and Monkey Board, a rooftop bar that also serves “food truck” small plates. The hotel has a fitness center, free Wi-Fi, room service, and valet parking. Rates start at $139.